This is the 9 litre version of the Osprey Verve - a standout women's rucksack/hydration pack. Designed for women - the straps and hipbelt are designed to providing an optimum fit for the female body. 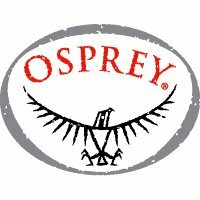 Die-cut foam back panel with BioStretch ventilated harness makes the Osprey Verve especially comfortable and stable. Supplied with 3 litre Osprey Hydraulics Reservoir- arguably the best hydration bladder made. The bite valve (where it connects with the hose, not your teeth) has a round steel insert that mates with the sternum strap's magnetic buckle. This means that your hydrating hose never goes adrift, but remains attached (but instantly detachable) so it's always easy to locate when you're on the move. The rucksack's top zip (which you pull to access the reservoir) extends 20cm down the right shoulder strap to facilitate guiding the reservoir feeding tube in the right direction. There's a mesh pocket on the left hand shoulder strap, perfect for keeping phone or gels handy. The rucksack's two part main zipped compartments (one for the Hydraulics Reservoir the other for general storage) are separated by a sleeve. The zipped sunglasses and electronics pocket at the top of the sac is soft embossed honeycomb lined to prevent scratching. The LidLock is the smartest and the simplest bike helmet attachment we have come across. See video. The LED attachment strap near the bottom of the sac gives you somewhere to mount your rear light at an eye-catching height. A large (25x15cm) external organiser pocket boasts internal mesh pockets and a key fob. Reflective graphics help keep you safe. Weight: 750g - based upon weighing Osprey Verve 9 at Bike Co-op HQ in March 2015. Manufacturer's published maximum dimensions : 430mm (long) x 220mm (wide) x 180mm (deep) = 9 litres. Manufacturer's published maximum dimensions : 430mm (long) x 220mm (wide) x 180mm (deep).